When you think about bank security, what is the first thing to come to mind? Odds are good you immediately see the two-foot-thick solid steel contraption with the spinning lock made infamous by movies and cartoons. But logically, you know that’s not how your money is protected. There may be a built-in safe involved, but more than likely, your finances are heavily guarded by levels of digital means before the vault is even seen. So why should you do differently for your business? You may have the physical components in place, but today, that is rarely enough. 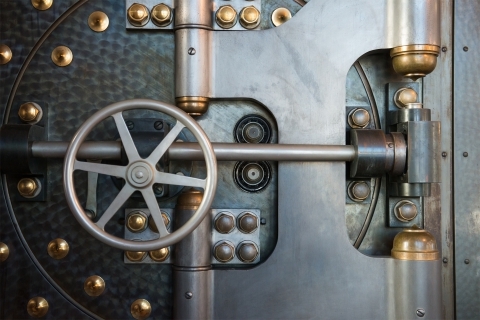 A security team to keep watch is an excellent protective step but, as with the bank vault example above, that’s just one element where you should have multiple layers of protection. At Condor Tech, we are experts at seeing the gaps in any security system. Our security consultants are trained to examine your system for weak spots and create an individually crafted security plan to fit your specific needs. Read on to understand how we differ from your security team. Think of it this way: hiring a security consultant is akin to a celebrity hiring a fashion designer to create a dress for the Oscars. A security consultant, at it’s most simple, is a well-trained expert in all varieties of security systems who will tailor your security system to your specific needs. Like that personally designed gown, your security system should fit your business like a glove. Since a security consultant from Condor Tech is coming in from the outside, they will see everything with fresh eyes. Part of their training is to evaluate every potential blind spot, both physical and digital. The potential problem spots your security team miss from the habit of a daily routine can be protected when a fresh set of eyes comes in to study your business. Hiring a security consultant also means that your security staff can focus on their job rather than being spread too thin trying to do too much. Your security consultant can come in and focus on updates and changes while your security team does their job. Trained security staff do an excellent job with what they’re trained to do. However, they may not be trained in the variety of systems available. Hiring a security consultant fills in those gaps because they are trained in the spectrum of different security options. This means better tailoring based on your particular needs. Most security consultants work on a project-by-project basis. This means you aren’t adding to your staff. The security consultant will come in to evaluate and set up the system and train others to manage the system. At this point, the consultant is done, and any further monitoring from the outside is up to you and your needs. Your business is protected and often, your insurance company will take this into account as they calculate your premiums. Security consultants are trained to come in and take care of everything quickly and efficiently, which can prevent purchase of a lot of unnecessary software, services, or equipment. To schedule your evaluation and begin planning your surveillance system, contact Condor Tech today! Contact Our Security Consultants Today!